I’ve wanted to participate in Shadow Shot Sunday for quite a long time. I started a few years back but shortly after I started I let my blog go. 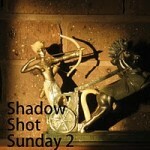 I’m pleased to see it still going strong as Shadow Shot Sunday 2! I’m trying to get back in the habit of looking for great shadow shots. Today I’ll be sharing something I shot last year. 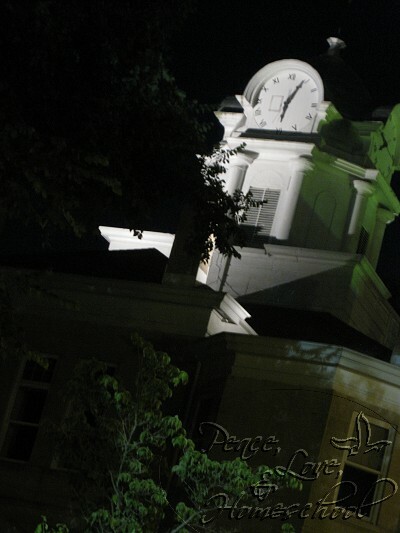 The local courthouse…on a beautiful summer night! On a whim I decided to experiment with shooting at night. The result you see here is my favorite of the night. It gave me a “Back to the Future” kinda feel. I was unable to hold the camera as still as it needed to be for a sharper, clearer image. A tripod would have probably helped. If you have any tips for me on shooting at night I would greatly appreciate it! Thanks! it is very back to the future like. great job…we don’t often think of night time shadows…this is great!!! thanks so much for choosing to stop by my site…so glad to meet you!!! !